Fishermen are more likely to respond positively to information when it comes from their peers. 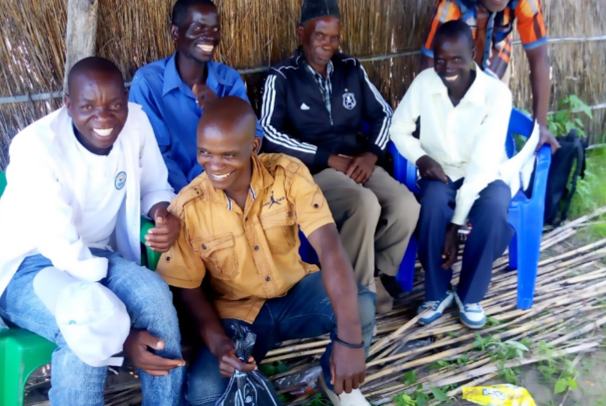 This is why the Fisheries Integration of Societies and Habitats project, or FISH, uses peer mentors to increase HIV testing and treatment among fishermen in Malawi. Gracium Kanyenda, a 46-year-old fisherman, is a powerful example of what peer mentorship can do. Kanyenda believed that HIV testing was for promiscuous people, not for him. He distanced himself even further from the idea of getting tested when he heard that one of his friends who had multiple sexual partners tested HIV-negative. Then last year, peer mentors with FISH’s Test and Start initiative approached Kanyenda during a wellness campaign day about getting tested. Funded by USAID, the initiative includes peer mentors from local Beach Village Committees who raise awareness, share key HIV information, accompany clients for HIV services, and conduct one-on-one follow-ups, including home visits with HIV-positive men who have lapsed in treatment. “Fellow fishermen from my community identified me as a potential individual that needed HIV testing, considering that I had never tested before,” Kanyenda recalls. Although Kanyenda was hesitant at first, he got tested and learned he was HIV-positive. He started on antiretroviral therapy, or ART, the same month. Kanyenda didn’t become an official FISH peer mentor, but he felt that other fishermen could benefit from his story, so he began sharing it and encouraging others to get tested. Kanyenga has also built good relationship with traditional leaders, who now invite him to community meeting to give talks on HIV. By early 2019, 10 men who Kanyenga had reached through one-on-one talks had agreed to get tested. Two then decided to publicly disclose their HIV-positive status to help reduce stigma, and one of them, Paison Kaudyeudye, began working with Kanyenga in mobilizing other fishermen to get tested. So far, Kanyenga and Kaudyeudye have reached the Mangochi villages of Chelela, Mkula, Jasten, Kachere and Mphonde, where they have been conducting door-to-door HIV testing mobilization as well as group mobilization during community gatherings. Kanyenga gets suppport from peer mentors and clinic teams in his community. He says he plans to keep going to reach even more villages, because he can see his efforts are making a difference. Lead photo: A peer mentor refers a fisherman for HIV testing on the shore.